Your battery inside your vehicle needs special care and maintenance to keep it running. Without it, you’re likely to need a battery repair and replacement. With such an important part that delivers the necessary power to start and run your car, it’s important to stay on top of the common warning signs and do preventative care to make sure it stays working in tip top shape. Unfortunately, many drivers in Pomona, Pasadena, and Baldwin Beach may not be familiar with the information needed to keep their batteries running efficiently. So to further help you out, Norm Reeves Honda Superstore in West Covina has listed the detailed information drivers in the area should understand about their battery. When your battery is in trouble and about to die out, your vehicle starts to give off signs for you to head to Norm Reeves Honda Superstore in West Covina for a battery repair or replacement. Some of the common signs are an illuminated battery warning light on the dashboard and corrosion on the battery ports. One of the most common signs of battery troubles is a slow engine crank. This means that when you go and turn the key in the ignition, the engine tries to start, but either fails or takes longer than normal to start. Another sign of battery troubles is a swollen battery case. With this, it can be serious. A swollen battery case means that it is being exposed to excessive heat, and if it’s exposed to any more, it can explode causing harm to both you and your vehicle. Once these signs begin to happen, it’s imperative to head to our service center to see if you need a battery repair or replacement. There are a couple preventative maintenance tasks that you can perform to help your battery run a bit longer. One of which is making sure your lights, radio, and other electronic devices in your vehicle are turned off when the engine is off. Leaving them on can drain your battery and even prevent your vehicle from starting. You can also take the time to pop open the hood and clean up the battery casing and the area around the ports. Doing this allows the electric current to pass through the battery easier giving you more power. While doing the mentioned preventative maintenance for your battery can help, scheduling routine appointments at Norm Reeves Honda Superstore in West Covina can really ensure your battery is running properly and efficiently. Our technicians are trained in diagnosing battery problems and are trained to provide to necessary repairs and replacements needed. Here, they can check the power levels and battery fluid levels to make sure it’s running fine. Batteries provide the power you need to get your car started and driving on the roads of Pomona, Pasadena, and Baldwin Park, so it’s extremely important to take heed of the warnings that indicate you’re in need of a battery repair and replacement, and it’s important to perform the tasks needed to make sure the battery you have stays running efficiently. 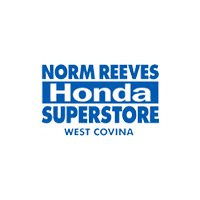 So if you’re experiencing any problems or have any questions about the preventative maintenance you can do, then be sure to head to Norm Reeves Honda Superstore in West Covina’s service center to talk and one of our service advisors today. Don’t wait until you need a battery repair and replacement, schedule your appointment today.